Get the e-book, do your homework online, and more. You will need to find your course in order to purchase Sapling. A grace period may be available for this course. Visit Sapling to find out. Save money with our loose, 3-hole punched pages. This package includes Loose-Leaf and Sapling Plus. This package includes Hardcover and Sapling Plus. 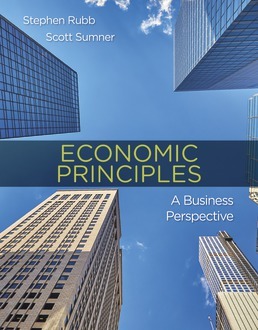 Specifically for economics courses with a business emphasis, Economic Principles: A Business Perspective helps you connect the fundamentals of economics as understood today with the business principles encountered in other courses. It’s filled with global examples and case studies, as well as features that connect economics to business, and can be accompanied by a helpful online study and review system, SaplingPlus. Get the e-book, do your homework onine, try some quizzes, and more! What Explains the Wealth and Poverty of Nations? What is Money, and Where Does It Come From? Stephen Rubb is a passionate teacher. 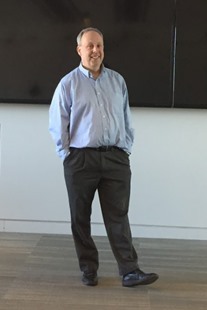 He began his teaching career in 1994 and is currently a Professor of Economics at Sacred Heart University. Prior to Sacred Heart, he taught economics, finance, and statistics at a variety of business schools including Bentley University, Stonehill College and Bryant University. He has graduate degrees in both business management (Rensselaer Polytechnic Institute, M.S.) and economics (Northeastern University, Ph.D.). Professor Rubb's research interests include migration, Social Security and retirement issues, and labor market - education issues; and has published in a variety of scholarly journals including His research has been published Demography, Applied Economics,the Economics of Education Review, Journal of Family and Economic Issues and Education Economics. Professor Rubb lives in Glastonbury, Connecticut with his wife Susan, two children Jason and Marissa, and their poodle-schnauzer mix Jasmine. 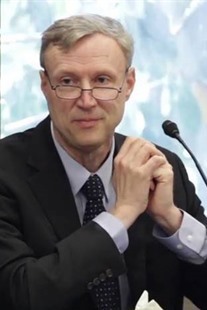 Scott Sumner is the Ralph G. Hawtrey Chair of Monetary Policy at the Mercatus Center at George Mason University, where he is the director of the Program on Monetary Policy. He is also Professor Emeritus at Bentley University. In his writing and research, Sumner specializes in monetary policy, the role of the international gold market in the Great Depression, and the history of macroeconomic thought. In 2015 he published "The Midas Paradox: Financial Markets, Government Policy Shocks, and the Great Depression." Named by Foreign Policy magazine in 2012 as one of the "top 100 global thinkers," Sumner has published papers in academic journals including the Journal of Political Economy, Economic Inquiry, and the Journal of Money, Credit and Banking. He is author of the economics blog The Money Illusion and a contributor to EconLog. Sumner received his PhD and MA in economics from the University of Chicago and his BA in economics from the University of Wisconsin. Relatable and current business examples ensure students learn traditional economic concepts.